One of the pain point in SAP implementation projects is to monitor and control short dumps in the system . Considerable amount of main power getting used to handle this task. What if there’s a utility tool which can help you to make this RCA process quick. 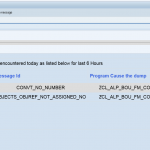 Standard SAP transaction codes do provide huge information to analyze ABAP dump, but when it comes to solving it , finding the root cause or receiving notifications based on custom demands it lacks and it might add extra overhead on IT team. 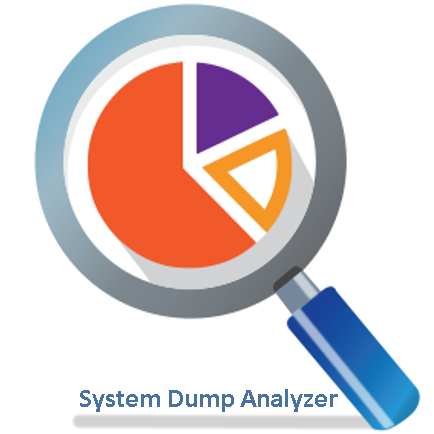 ABAP Dump Analyzer simplify these deficiencies , it looks the dump in functional point of view ,proving valuable information as part of daily alerts. These notification can be customized to setup every hour , 2 hours or 6 hours. Few things which makes this tool so unique is it uses the special techniques to find which process and for which customer/policy/order/account/etc.. functional numbers system crashed, this will enable support team to response quick in production in both direction , solving the issue and get in touch with your customer to help them out real quick. Please get in touch with webmaster@sapignite.com to include it in your IT landscape as a value add.